Goa surely offers a magnificent opportunity to explore the ancient streets of Christianity. Walk through them and see how this beach fringed state houses egalitarian white church spires amidst lush paddy fields or even labyrinthine cobbled streets. 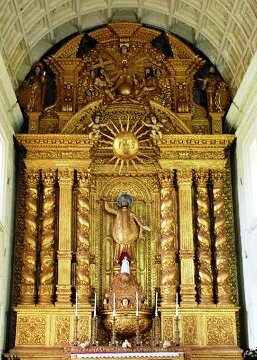 Goa, a strong religious and political centre during Portuguese rule, was, where the first few votives, commissioned by Alfonso de Albuquerque, were built. Soon missionaries from various religious orders, encouraged by the Portguese government built their own convent, housing a church. As the pages of history drifted away, there came an undoubted explosion of architectural activity in Old Goa. Italian and Portuguese architects designed churches on the lines of the Baroque architecture of Rome, giving rise to monuments that had a dramatic impact on the evolution of various art forms all over the state. However, by the 18th century, many of these elegant pieces of art fell to ruin due to natural causes. Despite the ruination over the years and a hostile tropical climate, handful of churches still exist today as testimony to former grandeur. You could be in the wild, wild West, just in time for siesta, but for the palm-trees that sway with the air of religion, still stand tall and bestow tourist with a soothing shade of brotherhood. Nowhere the hustle and bustle you expect in any 21st century capital city. Yes it is Panaji, where the main town square is presided over by the sonorous bell tower of the 'Church of the Immaculate Conception'. Through the year, visitors throng the white baroque church, attracted by the Blessed Mother or the statues of St. Peter and Paul. Enjoy a newer harmony in life with the euphonic bells calling the faithful to mass. 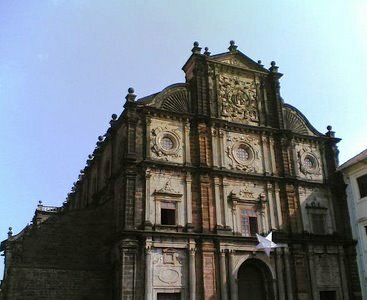 Visit Old Goa, and you will be amazed to see how it has preserved the archaic flavour of Christianity. Travel to St. Francis Tomb at the venerable Basilica de Bom Jesu, even now the foremost of Christian pilgrimage destinations in the East and more importantly a world heritage site. Plan a holiday trip during the time when the sacrophagus of the holy saint is removed from the silver casket for public viewing. Walk across the square called Terreiro de Sabaio to reach Se Cathedral, dedicated to St. Catherine. 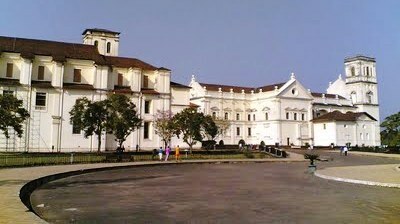 Hire a cab and reach the western end of Old Goa, to reach the Holy Hill. There stands the Chapel of Our Lady of the Rosary, built in 1526 and one of Goa's oldest churches. Keeping her company are the Royal Chapel of St. Anthony and the Convent of St. John of God. The most interesting part is that these sacred sites surely displays an impressive array of medieval European architecture; a beautiful amalgamation of Portuguese-Gothic style with a Tuscan exterior and Corinthian interior. A trip during the festive time will give you enough time to discover Goa. Visit early June, during the Sao Joao (St. John) festival and you can see an unique custom of men jumping into village wells. In Siolim, 7 km from Mapusa on the Pamjim-Old Goa road, this is a colourful festival that breaks the monotony of the rains. By Christmas Eve, Goa overflows with farflung members of families returning home and visitors keen to experience the thrills of the season - from Christmas carols on FM radio to long-drawn midnight masses - that make Goa a favoured destination to visit.